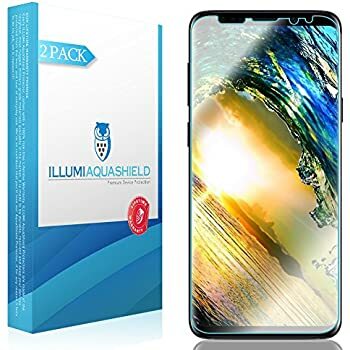 Please Note: Full Screen Protectors Are Not Compatible With All Phone Cases - Compatible Only With Specially Designed Case Such As EiZiCase (Sold Separately), Most Flip Covers, And Back Protection Films. 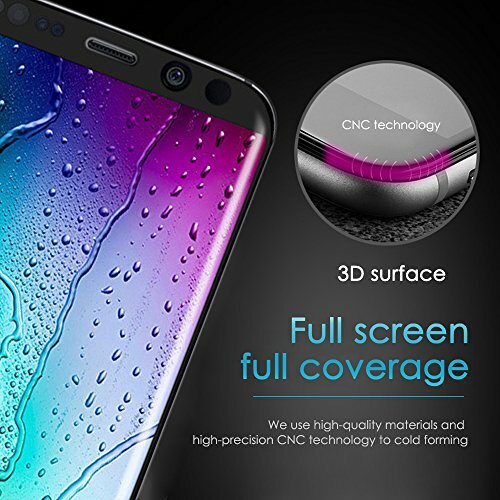 Do Not Use With a Case That Interferes With Edges/Corners Of The Protector Because An Incompatible Case Can Lift The Protector And Prevent It From Adhering Perfectly Which Can Cause Sensitivity Issues And Can Even Damage Or Crack The Protector. 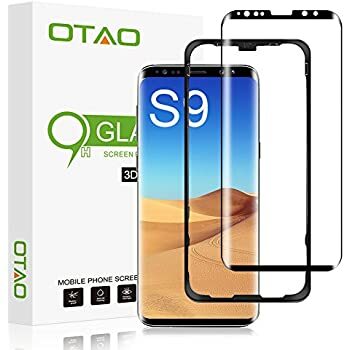 Enjoy Your S9 Infinity Screen To The Fullest With Highest Touch Sensitivity Using EiZiShield Series 0.33mm Thick Full Screen Edge-To-Edge Curved Real Tempered Glass Screen Protector. 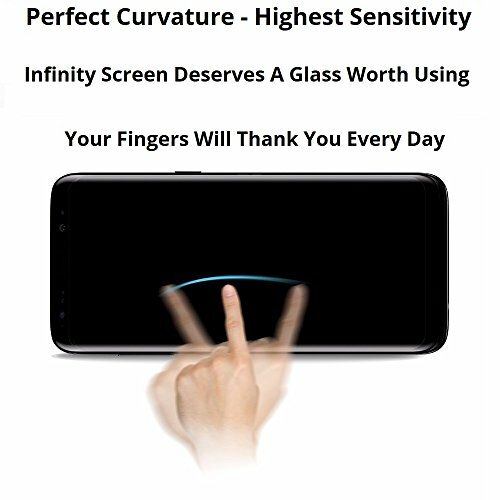 Construction - Made of Highest Quality 0.33mm Durable 9H Hardened 3D Curved Glass (Not 0.2mm or 0.3mm, And Not Plastic) For Maximum Scratch Protection, Strong Adhesive (Specially Formulated) Only On Top/Bottom/Side Edges To Facilitate Clearest Picture, Precisely Matches Screen Curvature â€“ Hence No Touch Sensitivity Issues Or Tapping Sound Like Regular Protectors. 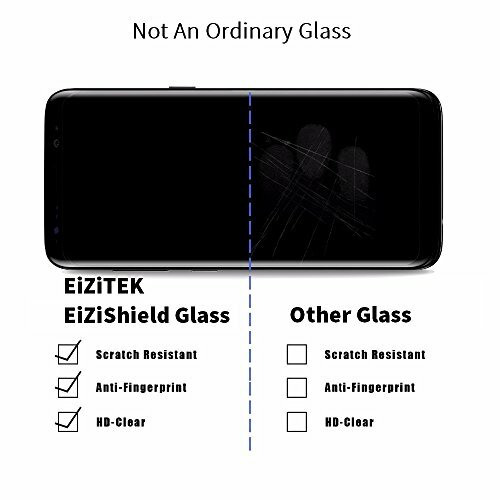 EiZiShield Features: Highest Touch Sensitivity And Transparency, Covers Full Screen Edge-to-Edge (Not Partial), Perfect Screen Fit â€“ No â€œClickâ€ Sound When Tapping, Better Dot Matrix Film Inside Glass For Better Shatter Resistance, Superior Fingerprint/Water/Oil Resistance, Stronger Adhesive Only On Borders â€“ Does Not Come Off Loose Like Ordinary Glass, Does Not Leave Trace When Removed, Fully Clear; Quick Completely Dry Installation (No Permanent Glue Involved). 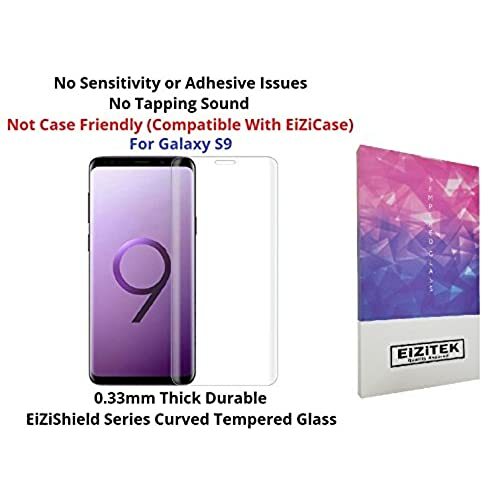 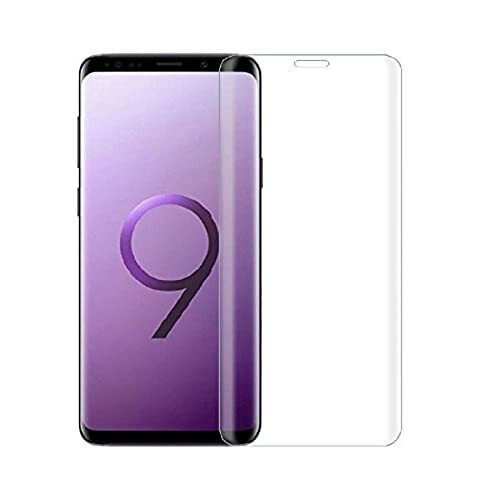 Package Includes: 1 EiZiShield Series Curved Tempered Glass Front Screen Protector (Clear) For Galaxy S9, 1 Alcohol Swab, 1 Cleaning Cloth, 1 Dust Removal Sticker, Easy Installation Instructions. 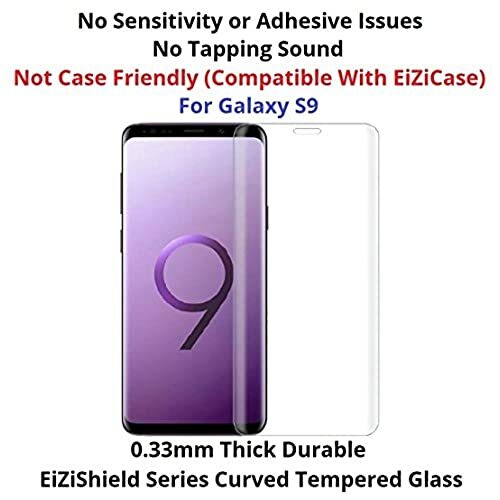 PLEASE NOTE: Not Case Friendly- Compatible Only With Specially Designed Phone Case Such As EiZiCase (Sold Separately) And Back Protection Films.